The newest lady that Kartik Aaryan is hanging out with these days is Kriti Sanon. And nope, they ain’t going out on “casual” or “friendly” dinner dates but the dup has been promoting their upcoming next- Luka Chuppi. The trailer of the film released a couple of weeks back and the audience loved their chemistry. They looked so refreshing in the trailer that the viewers can barely wait to see how their onscreen pairing has turned out to be. Now, Kartik and Kriti have shot for a mag cover and we must tell you they look like the perfect combo of fire and ice! 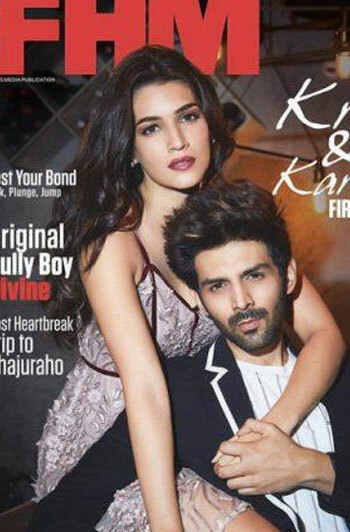 While Kriti looks as fiery hot, Kartik looks dapper and super cool on the cover of FHM magazine. They shared the cover on their respective social media handles and we think they look pretty darn good together. What say, you guys? Luka Chuppi Song Coca Cola: Kartik Aaryan and Kriti Sanon’s Fizzy Dance Number is Safe to Consume – Watch Video. Talking about the movie, this is the first time the two of them are pairing up together and by the looks of it, they’re gonna be a superhit jodi! In Luka Chuppi, Kartik and Kriti’s character start living- in together but the world thinks that they’re married. All is fun until they’re bombarded with family responsibilities and several other things. Helmed by Laxman Utekar, Luka Chuppi is a romantic comedy and Pankaj Tripathi, Vinay Pathak and Aparshakti Khurana are also a part of this fun-filled laugh riot. It’s a story of a television reporter in Mathura, who falls in love with a headstrong woman. Bankrolled by Dinesh Vijan, the film has extensively been shot in Mathura and Gwalior. 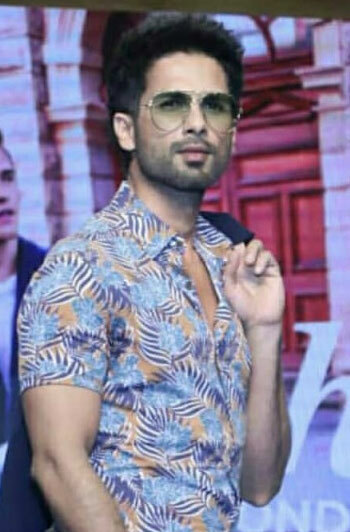 Luka Chuppi is slated to hit the silver screens on March 1, 2019. Watch this space for further updates.